This item is a toy and not to be worn outside as protection from sunlight or UV rays. Zebras, tigers, and giraffes…OH MY! 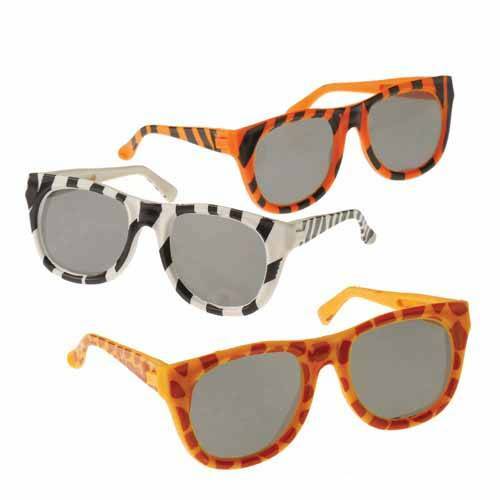 Bring the zoo into your own backyard with these animal print sunglasses. Your young guests will be growling with anticipation as you hand out these great party favors. They'll look cool while discovering their perfect animal totem. With zebra, tiger, and giraffe prints to choose from, there is something for everybody. No backyard safari is complete without this fashion accessory. 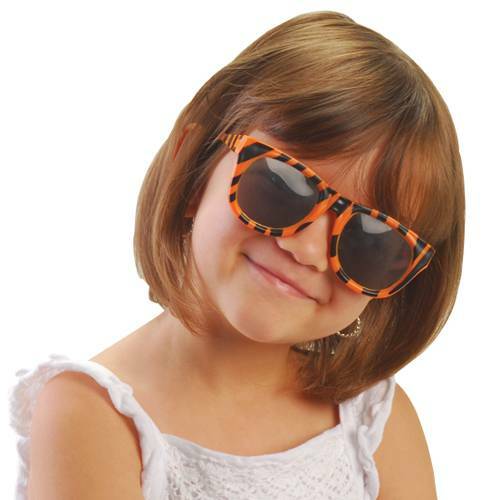 Glasses and sunglasses make great party favor gifts or Halloween costume accessories. Create a fun new look with a pair of glasses or hand out sunglasses at your next pool party.